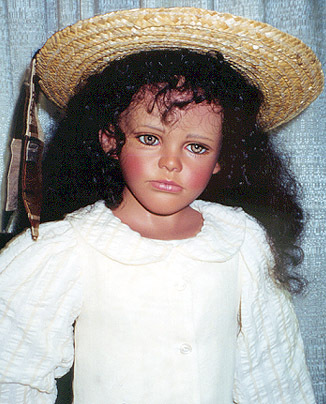 2007 Update - Many of you may be familiar with Juanita Montoya's work. Talent runs in the family. Monica, (Juanita's daughter), has been well taught and has a style all of her own. We have been carrying Monica's work now for a few years but haven't received any work in the last couple years as she hasn't really been showing at shows. If you are interested in Monica's work please feel free to contact us at kmalone@dollery.com for details on updated work. 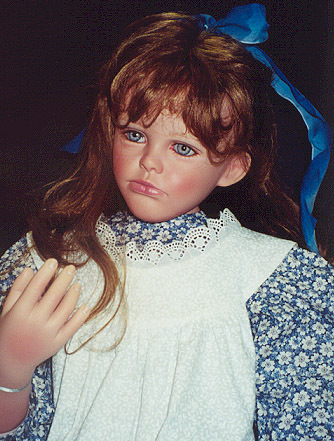 You may also call 800-447-Doll out of state or 781-447-6677 in state Ma. Ltd. 27, Resin, 19 - 20 inches. Adorable! Ltd. 27, Resin, 19 - 20 inches.